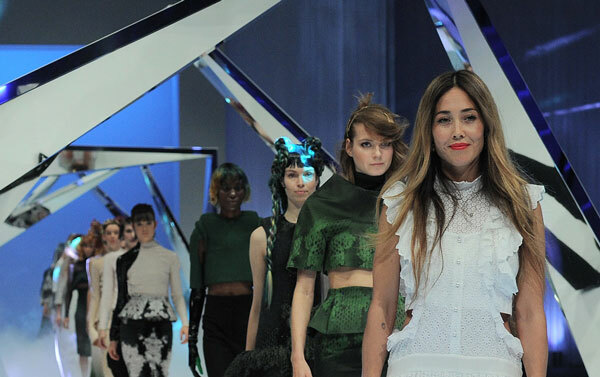 More than 1,400 hairdressers from around the world made their way to Barcelona for Wella TrendDivision 2016. During this year’s program, the Trend Reveal gave attendees a first-hand look at two key hairdressing trends that are set to be popular in 2017. While contouring one’s face has been a popular cosmetic trend for some time now, it’s time for the trend to enter into the hairdressing world. This technique is described as using different tones and intensities of color to the hair that are matched to facial features in order to create that optical illusion that contouring provides. In this day and age technology is king, often times resulting in flawless yet often times impersonal products and experiences. Perhaps this is why imperfect hairstyles and trends are gaining popularity. Hand-crafted hairstyles using old techniques paired with state-of-the-art products and services were on full display at Wella TrendDivision.